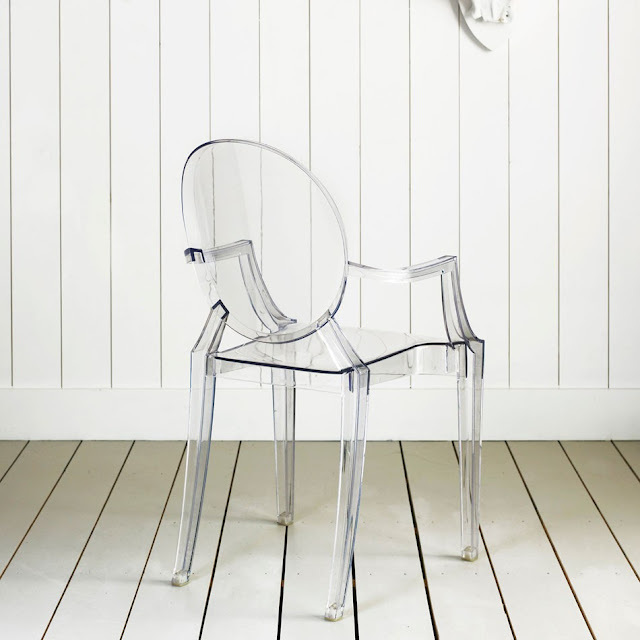 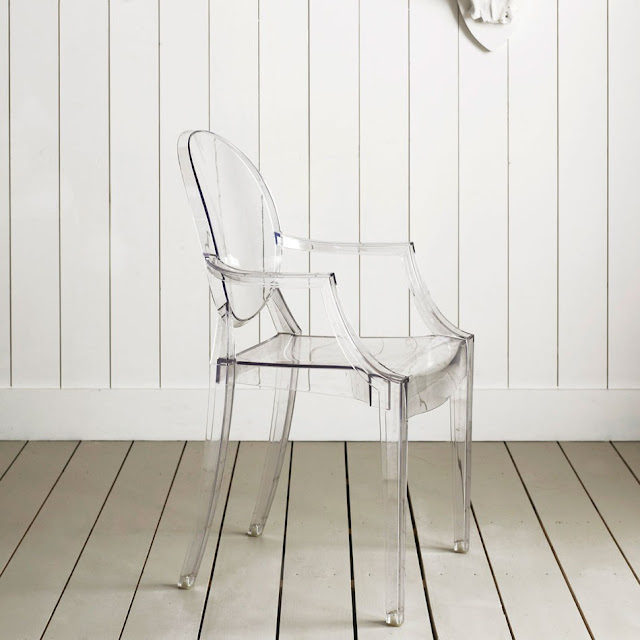 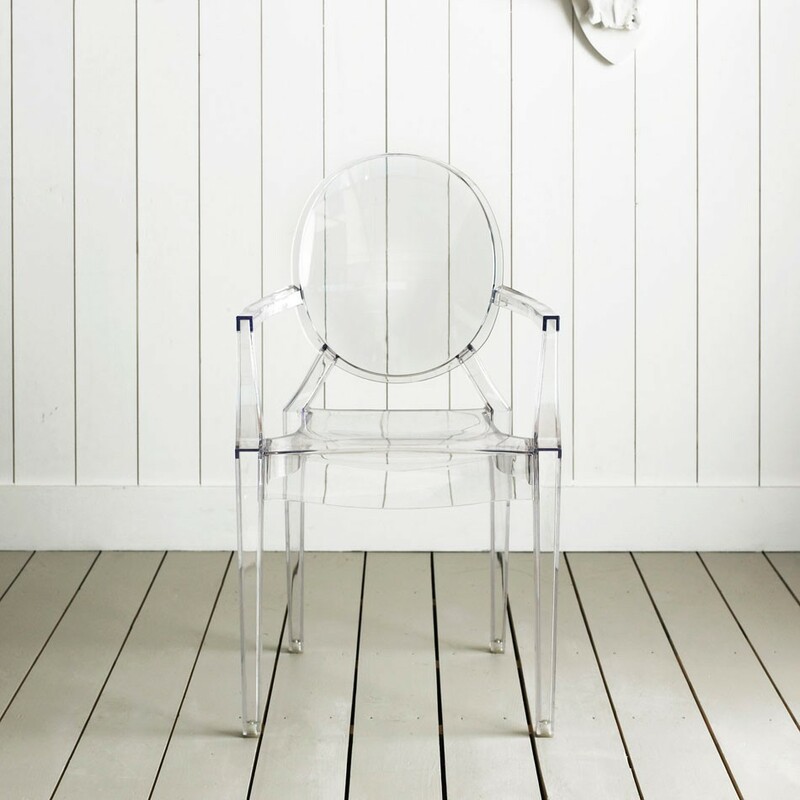 The Louis Ghost Chair by Philippe Starck for Kartell. Louis Ghost is the most daring example of polycarbonate injection in a single mould and these chairs offer lots of support and surprising comfort. 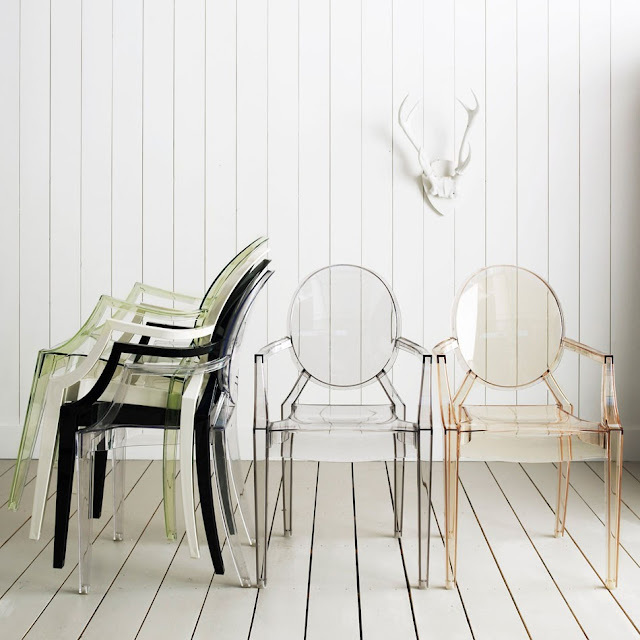 A cult product and an interpretation of the Louis XV chair, we are pleased to offer three of the most popular colours. These chairs are to be enjoyed, not just admired!